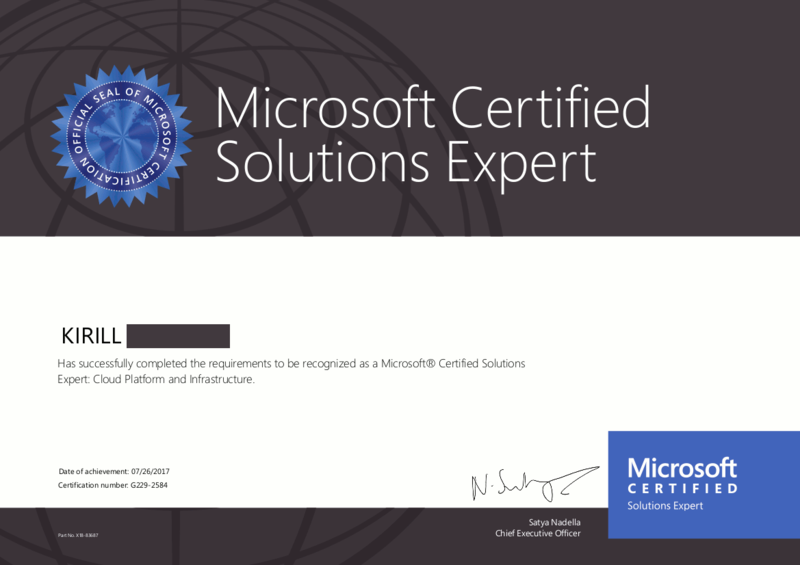 We are proud to congratulate our colleague Kirill on earning two Microsoft certificates: MCSE: Cloud Platform and Infrastructure and MCSA: Windows Server 2016. MCSE: Cloud Platform and Infrastructure confirms qualification of cloud administrators, computer support specialist, and information security analyst. 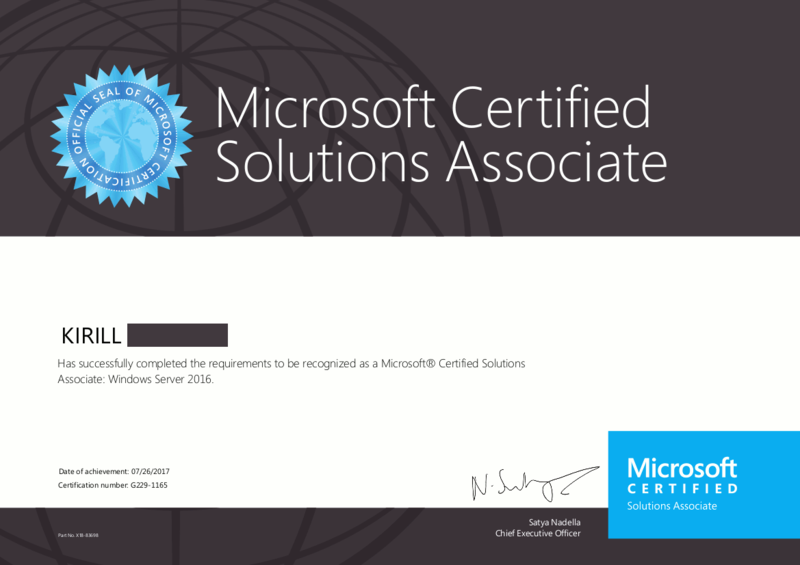 MCSA: Windows Server 2016 qualifies specialist for a position as a network or computer systems administrator or as a computer network specialist.